Protocel is one of the unique, liquid formulas available for the treatment of cancer out there. It’s one of the easiest and one of the least expensive alternative approaches yet may be one of the most successful. Protocel is non-toxic and, due to its ease of use, is sometimes ideal for administering to small children or to the elderly who are diagnosed with cancer. Protocel was first developed by a chemist who goes by the name of Jim Sheridan. He developed this so that it would interfere with the anaerobic (without oxygen) function of cancer cells in the body. The fact that cancer cells obtain their energy primarily through anaerobic means (a process known as glycolysis) was proven in the 1930s and 1940s by Otto Warburg, a two-time Nobel Prize-winner. Considering that all healthy cells inside the body use aerobic functioning, Protocel leaves all of the healthy cells unharmed. After decades of perfecting his Protocel formula, Sheridan was able to achieve about an 80% cure rate on lab animals with cancer. His work was done at different prestigious laboratories including the Detroit Institute of Cancer Research (now known as the Michigan Cancer Foundation) from which he had received a private grant, and the Biosciences Division of the Battelle Institue in Columbus, Ohio. Between 1978 and 1980, Sheridan was able to tap the National Cancer Institute (NCI) to run animal tests on his formula several different times. However, try as he may, he couldn’t get the institute in question to administer his formula on lab mice according to his instructions. Thus, the NCI kept running the animal tests incorrectly and coming back with negative results (the reason why the official website says that Protocel doesn’t work). Finally. in 1990, the NCI tested this formula (under its old name, Cancell®), and the results showed it to work much better than chemotherapy on a large variety of cancer cell lines. Since 1999, the formula has been produced in a form of a dietary supplement under the name of Protocel. However, mainstream medicine has yet to study this formula. 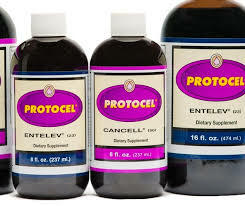 Therefore, Protocel is not approved by the Food and Drug Administration (FDA) as a form of treatment for cancer. Protocel can be purchased without a prescription and the company provides two formulations of their products, namely: Protocel Formula 23 (the reproduction of the original Entelev) and Protocel Formula 50 (the reproduction of the original Cancell). The former appears to work better for certain types of cancer, with the latter working better for other types. Since Protocel has been made available, people have used it to ward of virtually every type of cancer in existence. Some of the fastest-responding types of cancers may include acute leukemia, cervical cancer, colon cancer, bladder cancer and aggressive astrocytoma brain tumors. Protocel has also been known to bring about complete cures for cancers like breast, prostate, lung, other types of brain cancer, kidney, pancreatic and skin cancer among others. One thing to note is that fast-growing cancers lyse faster on Protocel, while slow-growing ones will lyse slower. So, people with slow-growing cancers must be more patient when trying to cure their condition.